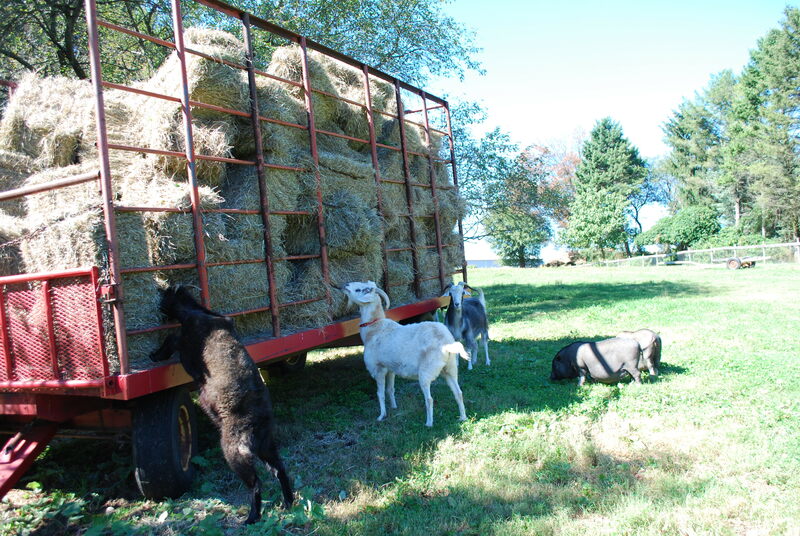 We have a growing animal family here at Juniper Hill , some that will contribute to the fiber business and some… like our chickens, pot-bellied pigs, nubian goats, geese, guineas, turkey, donkey and emu …. that are here just because we like them. 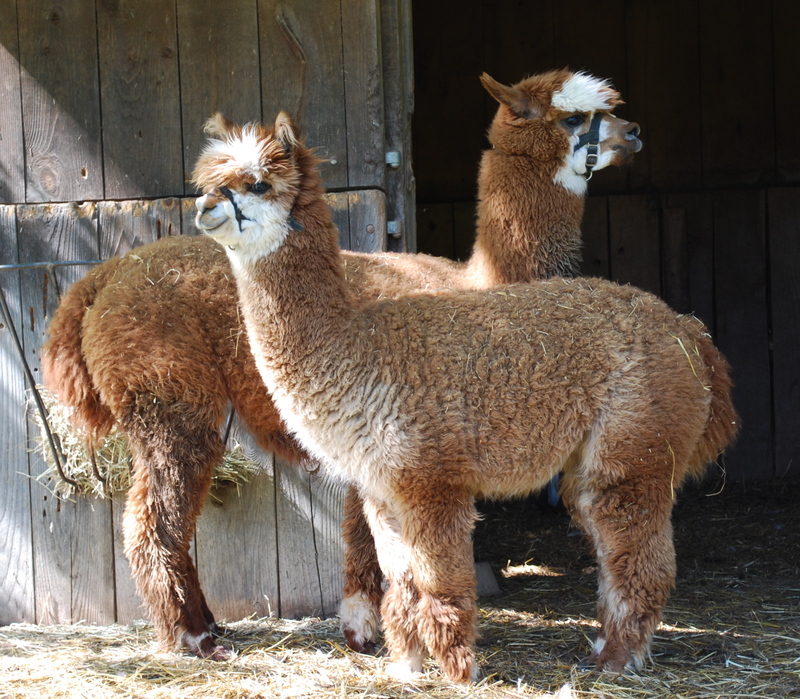 Our fiber animals consist of a small herd of 12 cashmere goats, 4 alpacas and 4 angora rabbits. We are hoping to continue to grow the alpaca and rabbit families! We have last year’s fiber from the alpacas, and are experimenting with different felting techniques with the hope that we will come up with a few marketable products this year. Felted soaps and felted water bottle bags are the favorites, and we plan to come up with some great felted hats as well! Oh Happy Day! The hay wagon’s here! Fall 2012 Update…. We just love our pets and fiber animals, and we are slowly figuring how to go about creating a fiber business! We sold our first products at the West Grove Market this year, and met lots of local folks who love the guys and our wares. 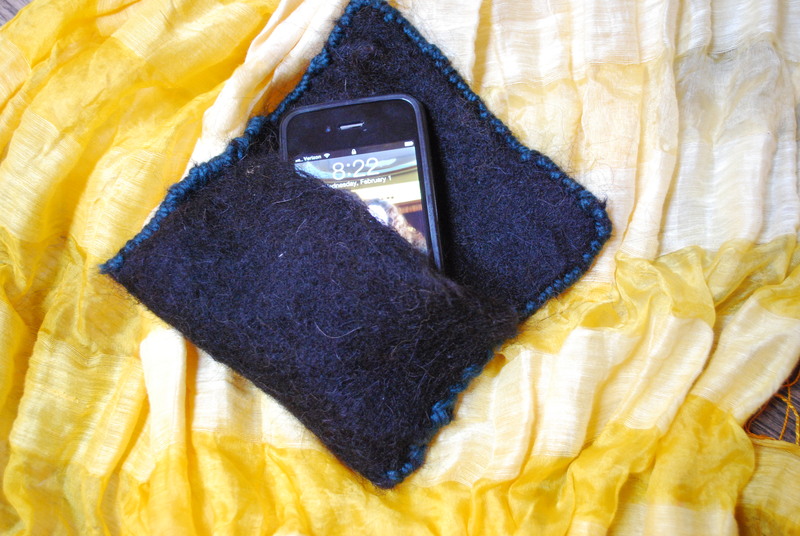 We mostly do felting with our fiber, since it is relatively simple (hot water, soap and agitation) for everyone, and there are so many cool things to make. 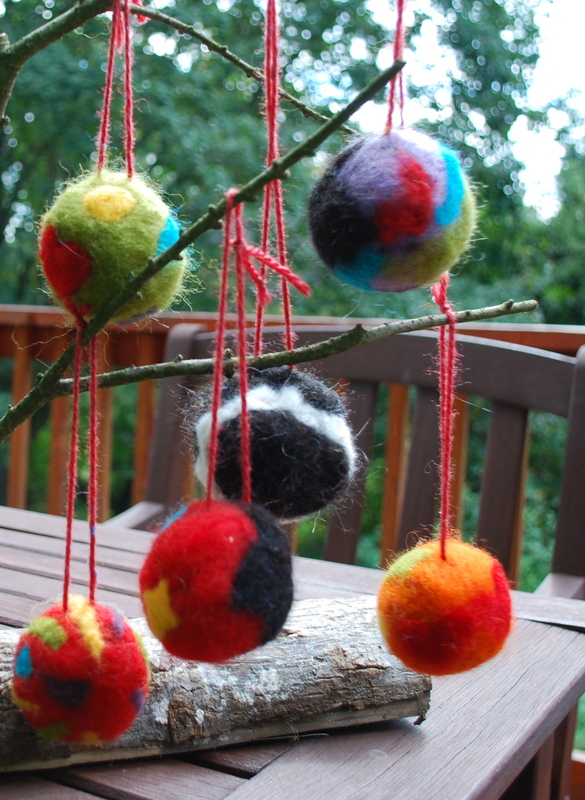 Our felted Christmas tree balls were the biggest seller of all and the most fun to make! 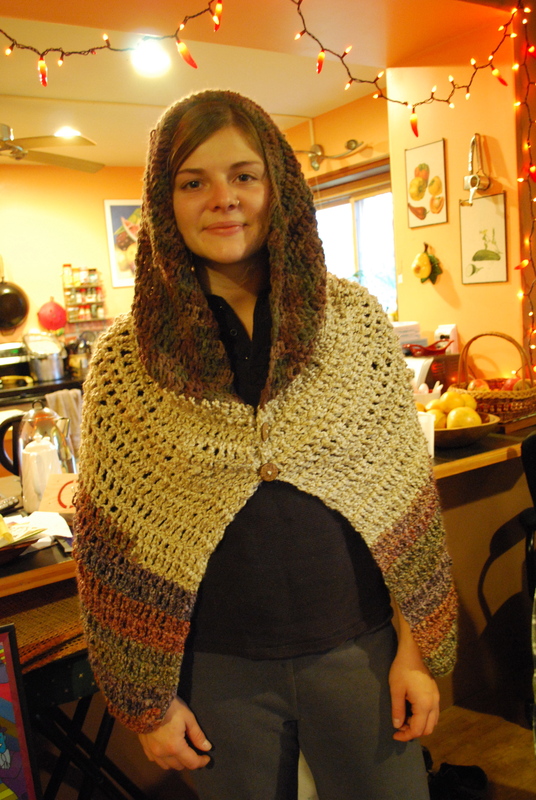 Brent sold many blankets at market, and has now come up with a new product, the cowl-hooded shawl. We bought a real drum carder with donation funds… so now we can spend cozy winter evenings carding alpaca fiber into bats for felting, and even spinning! 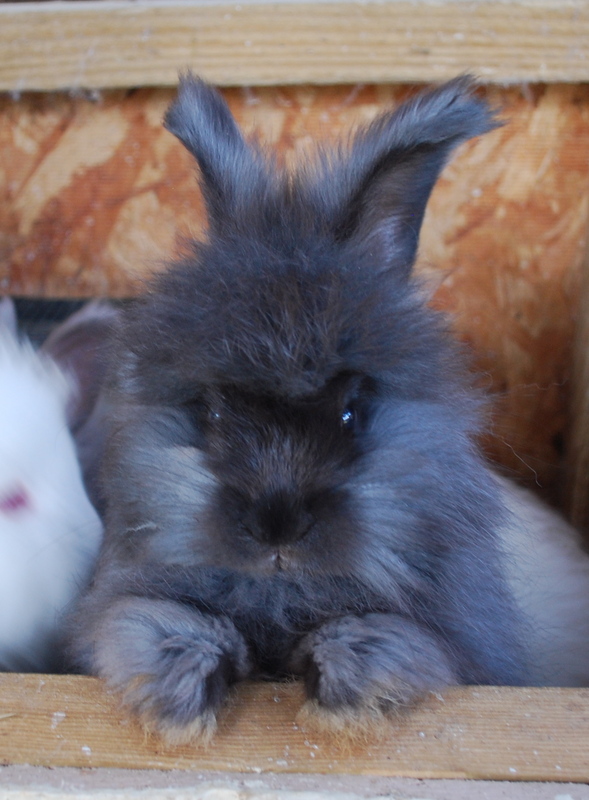 AND we had baby angora Easter bunnies this year! 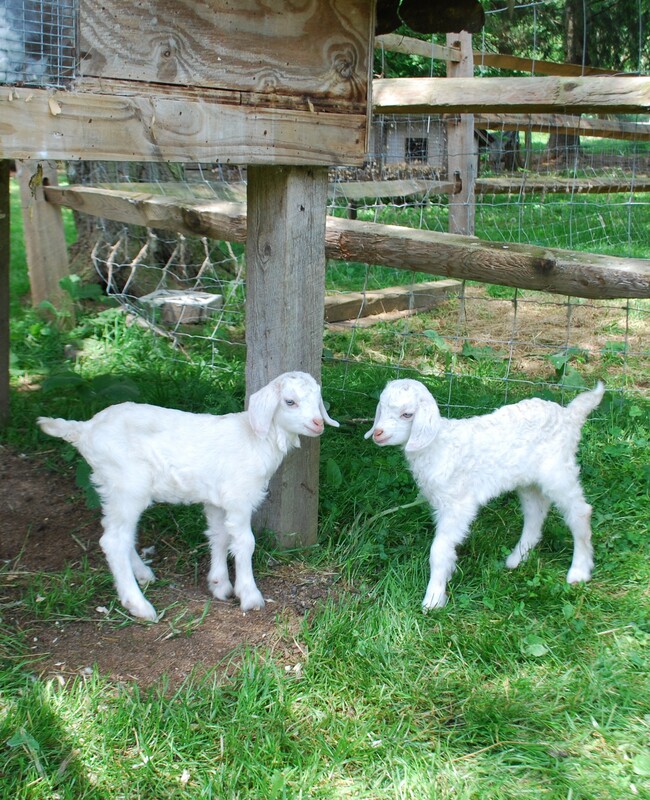 Update Winter 2013… Baby goats ..6 new ones! .. made for an exciting summer last year, and two of them had to be bottle fed, so we have a couple of cuddly brown cashmere goats. Mostly we are just enjoying our animals and filling the ‘Fiber Closet’ up with bags of soft alpaca, angora and cashmere fiber. Maybe this year, we will try out all of our ideas! 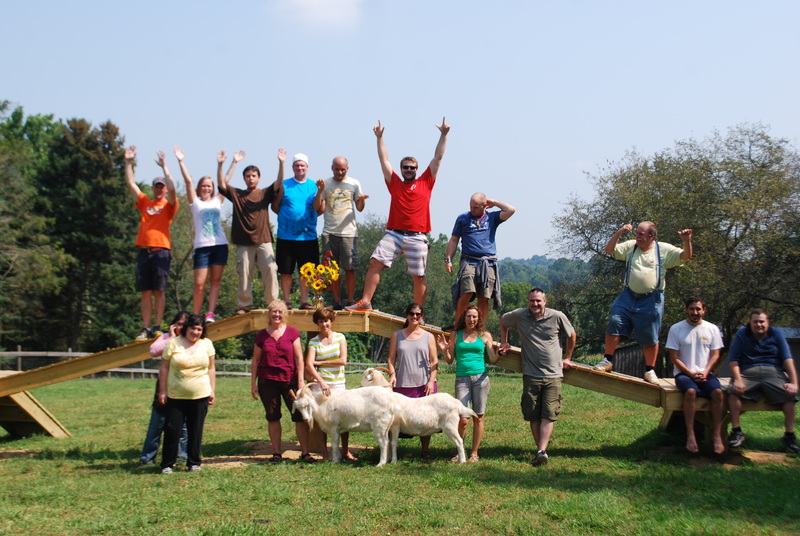 The Eagle Scouts built us a beautiful goat playground and we all like climbing on it! Just met Mollie Hyman at our school in Oregon. She turned us on to your website. Fantastic website. You must have so much fun caring fro the animals. Does someone also like cleaning out the stables? i love the baby goats and pot bellied pigs. Ys Brita, we are lucky that Brent loves to clean out barns! 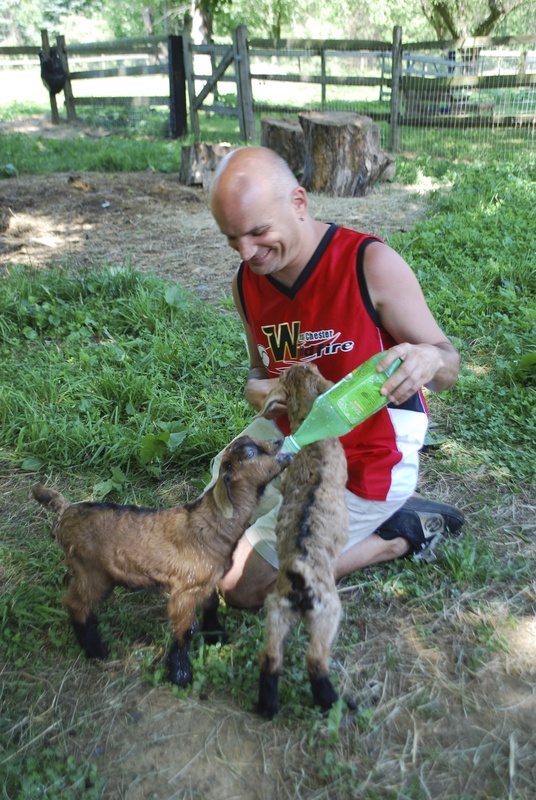 The baby goats are my favorite too… little Brigitta in the video has stayed very tiny but she is a very excited and determined little goat and bosses the others around!